Have your ever abruptly ended a conversation or switched off during one allowing your wayward mind to go adrift or just looked through someone who looked at you with expectant eyes since your mood was not right or ignored a phone call to avoid a near one or never heard or allowed someone to say something in their defense or maybe banged the phone in anger !! Well, I have done some of these in more than one occasion. What if it were meant to be the last conversation and you have missed the chance? When I embarked on an inward journey, I laughed at my foolish actions of the past and instead of allowing myself to be steeped in guilt and regret, I thanked the universe. Had it not been for such experiences, I would have never had a turn around or a lot to laugh about myself in this lifetime. From then on, I have tried to treat every conversation as the last conversation, living in the now, for the future is unseen and regret never helps!! It is not an easy task, but not unattainable either. I will keep trying till I succeed and recent incidents have only but strengthened my belief !! This week, India is recovering from one of the worst disasters in a 100 years which is being referred to as “Himalayan Tsunami”….Hundreds of cars , homes, animals and people have been swept away by the raging rivers that flow down the Himalayan mountains. They were triggered by cloud bursts and melting glacial domes unleashing their wrath on the unsuspecting lot who were on a pilgrimage to a revered mountain shrine of Lord Shiva. The armed forces worked selflessly round the clock, often braving inclement weather, rough terrain, navigating through landslides and heaps of debris, risking their life at every moment to rescue every one possible. While the soldiers humbly said, it is their call of duty, but for the thousands whose hand they held, or carried them on their back, to ferry them to safety, they were divine incarnate!! While the hills were testimony to all the action thousands were waiting in the plains, in the Himalayan foothills and other lower reaches with photographs in hand scouring faces that have been rescued in the hope of finding their loved one. I was rooted to the television, my eyes set on every face that appeared on screen, reflecting hope, desperation, helplessness, anguish, pain and anger of not having any clue of their kith and kin. In all their eyes be it a protective brother, a dutiful husband, a doting father, a caring sister, a loving mother or the adorable child, I have only seen the pain of unfinished conversations, unfinished expressions of love and care, of not being able to find their loved one living or dead for that last hug, the last conversation, the final goodbye to close the earthly bond. Is that not what makes us human and sets us apart from animals? In the backdrop of a raging debate whether it was nature’s fury (Lord Shiva is embodiment of compassion but also the destroyer) or man’s insatiable greed for civilization that led to this unforeseen destruction, my thoughts and prayers are with the families who have lost their loved ones, the homeless who have lost their means of livelihood and remain clueless about tomorrow and the innocent who are in pain for the want of that last conversation and a have a long way to heal !! In conclusion I can only dedicate 2 lines of a famous song in my language. Best and most poignant post I’ve read in awhile. Move me to to tears. What a brilliant perspective–to view every conversation as possibly your last. And tying it in with the tsunami imbedded a solid visual. You’ve helped me view people and everyday life in a different way. With the recent sudden loss of a dear relative, this really hits home for me. Well written Sangeeta. I have a blog on wordpress called priyajottings.wordpress.com. Do look it up, if u have the time. Also are u on fb? Thanks Priya. I could not find your blog from the link you gave.I have not yet created my blog page on FB. 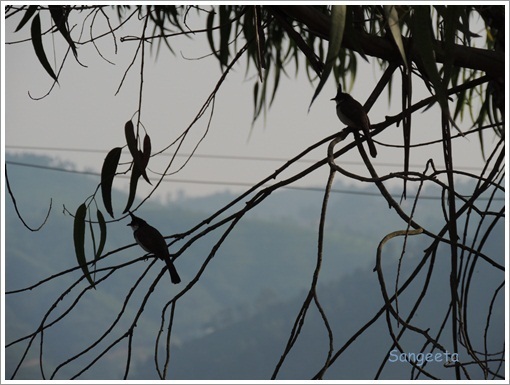 Sensitive post…what if..it is the last conversation… keep penning! Best! Thanks Nishi. It was an emotional outpouring for me..
Tumne awaaz to di hogi, us waqt kahan the hum. Vow! heart touching post. There’s a lot that happens in our everyday life and we do realize whenever we miss the person or something that we didn’t truly understand earlier. Thank you…this song always makes me emotional.. Unfinished conversations, unfulfilled desires , dead dreams – I could not watch news anymore. You expressed beautifully. Thank you. Thank my stars I am not a conversationalist. Most of the disasters are man made. There is definitely a need of balance between the nature and our development… else, it will repeat in some other form. Nice post. Yes. I guess what was meant to be a quiet pilgrimage was turning out to be a hill station odyssey for many…Lets hope for the best !! Thank You…I am trying to emerge from my shock. Soon the media will throw spotlight elsewhere and we will not even know how they are silently rebuilding their lives and what we can do to help!!! I have not been able to watch any visuals from from the region. It is so heart breaking.